HOW DO I CREATE AN ETHAN ALLEN REGISTRY? You can easily create a registry by filling out some basic information and then creating a username and password. This username and password is separate from your ethanallen.com login; however, you may use the same information if you like. HOW DO I LOG INTO MY ETHAN ALLEN REGISTRY? 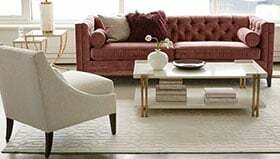 Your Ethan Allen registry is powered by MyRegistry.com. To access it, you will need to log in via EthanAllen.com/registry. Click “Manage My Registry” to go to MyRegistry.com, where you can view your gift list and so much more. WHY CAN’T I FIND MY NEW REGISTRY IN THE REGISTRY SEARCH BOX? HOW DO I SHARE MY ETHAN ALLEN REGISTRY? 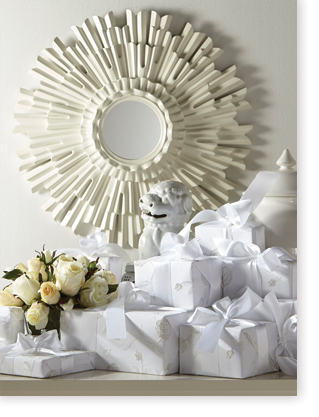 To share your Ethan Allen registry, log into your account via EthanAllen.com/registry. Click “Manage My Registry” to go to MyRegistry.com, where below “Announce Your Registry,” you will see multiple ways to share it. You can send ecards with a personal message and custom image, printable cards, or simply share a customized link directly to your registry. HOW DO I ADD A SHIPPING ADDRESS TO MY ETHAN ALLEN REGISTRY? To add a shipping address, log into your account via EthanAllen.com/registry. Click “Manage My Registry” to go to MyRegistry.com and then click the “My Settings” tab. You can enter your shipping address under “Profile” information. Once added, it will display for your registry visitors when they click the “Shipping Info” button at the top of your registry page. HOW DO I DELETE A GIFT I HAVE ADDED TO MY ETHAN ALLEN REGISTRY? Log into your account via EthanAllen.com/registry. Click “Manage My Registry” to go to MyRegistry.com and then click the “Manage Gifts” tab. Check the small box next to the gift(s) you’d like to delete and then click the “Delete” button located just above your gift list. HOW DO I RESTORE A GIFT THAT IS MARKED AS “PURCHASED” ON MY ETHAN ALLEN REGISTRY? CAN SOMEONE SHOP MY REGISTRY IN AN ETHAN ALLEN DESIGN CENTER? 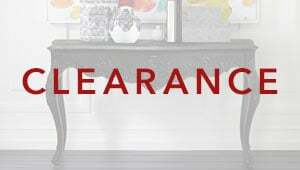 Yes, people can easily order registry items from their local Ethan Allen Design Center. When they shop, they should let the design professional assisting them know they are planning to purchase from a registry. Once the sale is complete, he or she will mark the gift as purchased. HOW WILL I KNOW IF THE ETHAN ALLEN STYLES I’VE SELECTED ARE NO LONGER IN STOCK? Ethan Allen has partnered with MyRegistry.com to fulfill all of your registry needs. If you have any additional questions, please feel free to call MyRegistry’s customer service team at 201.886.1000. Or chat live with a MyRegistry concierge by clicking the “chat with us” link on the MyRegistry.com home page. Hours: Monday–Friday, 8 a.m.–midnight ET; Saturday and Sunday, 11 a.m.–8 p.m. ET.